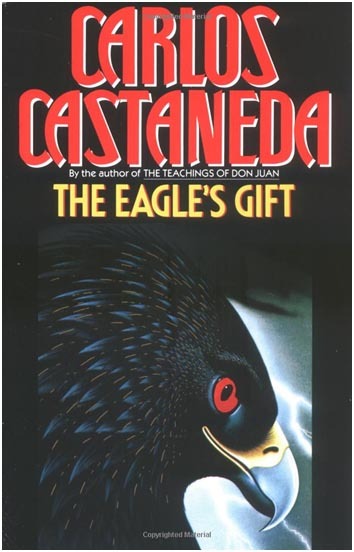 Carlos Castaneda takes the reader into the very heart of sorcery, challenging both imagination and reason, shaking the very foundations of our belief in what is "natural" and "logical." His landscape is full of terrors and mysterious forces, as sharply etched as a flash of lightning on the deserts and mountains where don Juan takes him to pursue the sorcerer's knowledge--the knowledge that it is the Eagle that gives us, at our births, a spark of awareness, that it expects to reclaim at the end of our lives and which the sorcerer, through his discipline, fights to retain. Castaneda describes how don Juan and his party, left this world--"the warriors of don Juan's party had caught me for an eternal instant, before they vanished into the total light, before the Eagle let them go through"--and how he, himself, upon witnessing such a sight, jumped into the abyss.